Beautiful and fragrant mix of Oriental lilies in a variety of garden friendly shades. White, pink, blush, and yellow petals grace tall, sturdy, Stargazer stems. 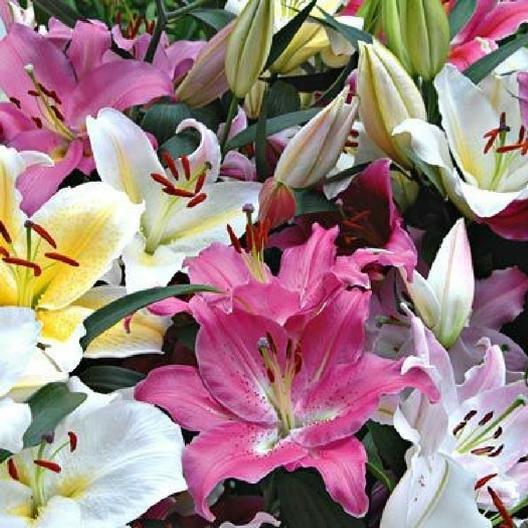 Enjoy their strong, deep fragrance as you peruse your garden, and bring inside your home as Oriental Lilies make wonderful cut flowers.